Jonathan D. Jones, 61, of Jamestown, died Nov. 2, 2018, at Roswell Park Comprehensive Cancer Center, after a seven year battle with Leukemia. He was born March 13, 1957, in Elwood City, Pa., a son of Richard and Ruth Kelly Jones of Gerry. 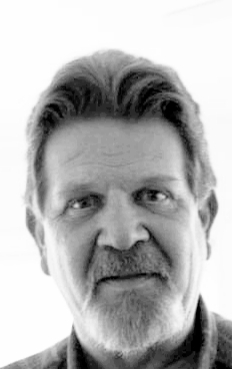 He was a 1975 graduate of Pine Valley Central School, attended Roberts Wesleyan College for three years and graduated from SUNY Fredonia in 1980 with a Bachelor of Science in biology. Jonathan enlisted in officer training school with the U.S. Air Force and eventually honorably discharged due to medical reasons. He then attended Jamestown Community College computer classes. Jonathan worked at least three different careers, seven years in retail, 18 years in the computer field and 10 years as a truck driver. Father of Tiffany of Jamestown and her children Jeremy, Ivorie, Dakota and Logan, Jason (Erin) of Ridgeley, W.Va. and their children: Richard, Lorelei and Justin D. Jones of Austin and daughter, Ashlee; brother of Suzanne (Dennis) O’Malley of Glenview, Ill., Gregory (Tina) of Crossville, Tenn., and Stephen (Mary) Jones of Hingham, Mass. Also survived by nieces and nephews. The funeral services will be held at 11 a.m., Saturday in Jordan Funeral Home, Sinclairville, with one hour of visitation prior to the service. In lieu of flowers, Jonathan requested donations to Roswell Park Alliance Foundation or the American Cancer Society.